If you would describe yourself as a creative type and are into personality tests this fun little self-test that has been released by Adobe might just be what you needed to keep procrastinating for a little longer. 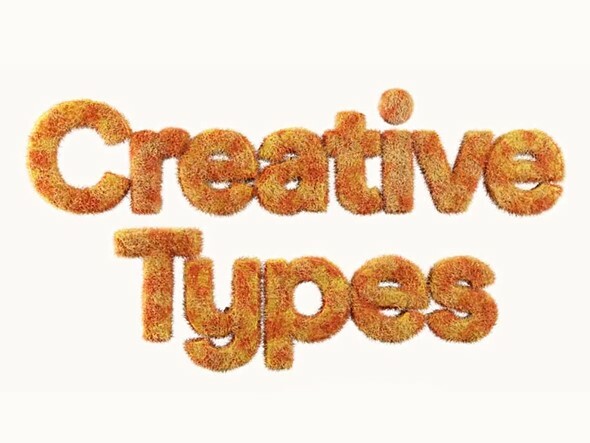 In the Creative Types test you have to answer a series of slightly abstract questions in order to find out — you guessed it — what kind of creative type you are. The 15 questions are binary and definitely a little quirky, for example 'I tend to see life through the lens of systems or stories?' or 'Are you a ruler or a spring?' Nevertheless your answers are used to compute a result which is one of eight creative types: the Artist, the Thinker, the Adventurer, the Maker, the Producer, the Dreamer, the Innovator, and the Visionary. 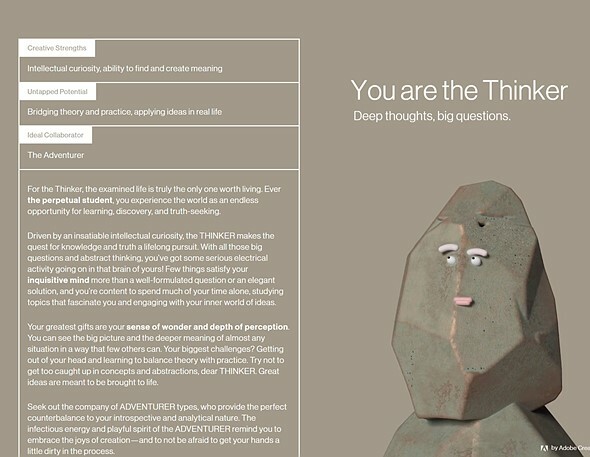 I can't deny I can see myself in some parts of the more detailed description of the thinker type, so even though this test is meant to be just a little bit of fun, there definitely seems to be some substance behind it. Head over to the Creative Types website if you would like to try the test yourself. As powerful as iPads have become over the past few years, one of the most limiting factors of the device is its operating system. Apple has incrementally updated iOS, but overall has left much to be desired from the creative world, most notably in the area of storage. That might just change, however, according to the latest reports from 9to5Mac. 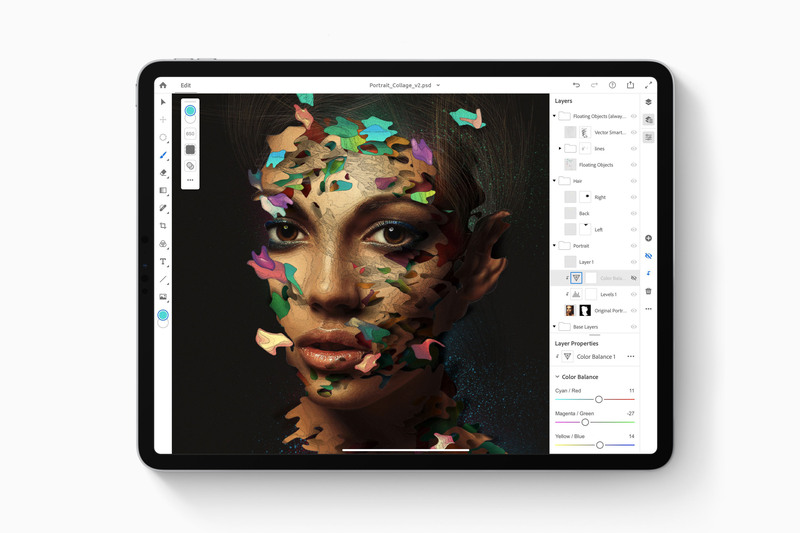 At its World Wide Developer's Conference (WWDC19) in June, Apple is expected to announce iOS 13, which 9to5Mac says will finally include the ability for third-party applications, such as Adobe Lightroom CC and Affinity Photo, to import photos directly from external storage. Until now, it was only possible to import photos into Lightroom CC and other post-production apps after the photos had been imported to the iOS Camera Roll. This not only effectively doubled the time it took to start processing photos, but also doubled the amount of space the images took up, at least until the photos were entirely imported to Lightroom CC and deleted from the Camera Roll. According to the reports, which 9to5Mac has had a solid history of getting right on the iOS front, it will now be possible to plug in a memory card via the iPad Pro's USB-C port and skip the Photos app altogether. Combined with the ability to now add various docks and hubs to the iPad Pro via its USB-C port, it could make for a pretty capable mobile setup. There's no definitive word on whether or not external HDDs and SSDs will be supported in terms of storing Lightroom CC libraries and other media elsewhere, but that too is one area that needs to be addressed for many photo professionals and hobbyists alike to make the jump to working off an iPad Pro exclusively. The post 5 Tips for Shooting Fine Art Photography appeared first on Digital Photography School. It was authored by Jeremy Flint. In this context, photography is utilized as a way of bringing to life an image that only exists in the artist’s mind. In essence, the goal of fine art is to express an idea, a message or an emotion rather than representational photography as found in photojournalism, documentary or commercial photography. Generally, it is more subjective than objective in nature. As simple as it may seem, one thing to do when shooting fine-art photography is to check the weather. You will find having good light can help to transform mundane scenes into remarkable images. On occasion, you may turn up at a location and get lucky with the weather. However, particularly for fine-art landscape photography, weather forecasts help you to decide when the light is right to shoot on a certain day and when to avoid getting caught in heavy downpours. Being creative is one of the best ways to develop fine art photography. Putting your unique vision into your work helps you create fine art photos you can be proud of. For example, trying to show the landscapes you witness with the best impact and emotion is a proven method of developing fine art. I recommend asking yourself what fine art do I want to capture and what do I want to convey in my images? This is purely a personal choice where you can create an image that connects with how you are feeling at that moment in time or a unique and interesting way of embracing and documenting your chosen subject and showing this as an art form through your photos. This brings me on to my next tip, choose a subject to enthuse the viewer. Finding a subject that connects with the audience can lift an image from ordinary to great. This could be anything from abstract details such as those found on rustic doors, textures of flowers or water droplets to interesting patterns. It could also be something that can be challenging to recognize or is easily identifiable. 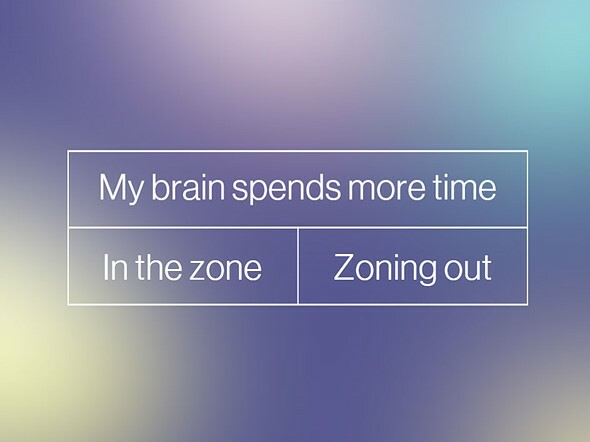 Whatever you choose, select a topic that interests you. The paintings you often see in exhibitions and galleries are considered to be forms of fine art and often demonstrate different themes and moods. Therefore, my next tip is to shoot photographs with a painterly approach using color or moods. Color can be utilized to evoke emotion and is an excellent way of putting life into your fine art photography. Using colors such as blues and oranges can help evoke cooler or warmer tones, respectively. Bright and warm colors can add energy and an overall positive feeling, whilst cooler tones can be calming and relaxing. You can achieve different feelings in fine art photography by capturing something dark and moody or bright and uplifting. Reducing your exposure compensation is a great way of making your images darker and more dramatic. Increasing exposure can evoke vitality. Using contrast is also a good way to create mood as it provides variety in tones. Being experimental with fine-art photography is a wonderful way to achieve great pictures, and one way to do this is through motion blur. You can practice this technique in several different ways; you can photograph moving subjects, or you can move your camera when you release your shutter. Capturing moving subject’s over a period of time can create motion in the image. This technique tends to work well where either the subject or background is still, and the other is moving, giving contrast. You can also develop continuity in an image by physically moving your camera, either up, down or sideways as you press the shutter. You will find that even by zooming your lens in while you take a photograph can create movement in your images. In conclusion, fine-art photography is a great way to express your own ideas and vision in an interesting and subjective way. It offers the opportunity to be creative and stimulate the viewer using themes, moods and motion blur. With these tips, go out and take some pictures of what you perceive to be fine art and share your images with us below. ON1 Photo RAW may not be as well-known compared to the other major brands in the photo editing software space, but that doesn’t mean it should be discounted. It’s the only service that can transfer and displays Lightroom-edited photos in Photo RAW. The software package boasts hundreds of built-in filters, LUTs and presets. It also supports layer masks for creating composite images. 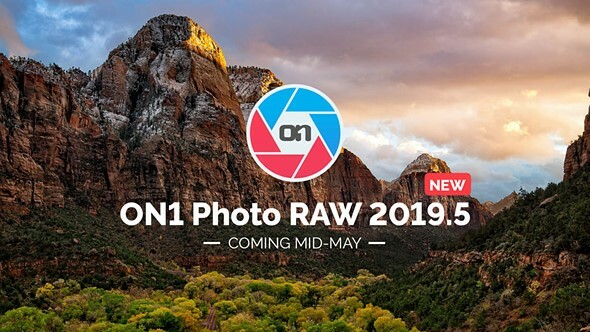 ON1 is offering up a free update of its service with ON1 Photo RAW 2019.5, scheduled to be released mid-May. As a standalone product with photo organizing and editing features, ON1 Photo RAW boasts the tools that photographers use the most in Adobe Photoshop and Lightroom and places them in one program. For users who don’t wish to fully convert, ON1 Photo RAW 2019.5 can also serve as a plug-in for Adobe Lightroom and Photoshop. ON1 Photo RAW 2019.5 will include new updates to increase productivity, additional organizing benefits, more feature and performance enhancements, and new camera support. ON1 Photo RAW 2019.5 will also have a fully-reversible history section. Each editing step will be accessible, along with the ability to roll-back and compare prior adjustments. Photographers will be able to search for photos based on specific adjustments applied such as cropped, retouched, and so on. Crop tool settings will be persistent and information on those adjustments will be retained across all photos. The master keyword list will now support nesting keywords inside of other keywords. Nested keywords will allow photographers to organize keywords as they see fit. They’ll be easier to search, add, delete, and modify. Importing a list of nested keywords from other apps such as Adobe Lightroom will also be supported. For photographers new to ON1 Photo RAW, there will be new walkthroughs that teach the basics. These series of short tutorial videos explain how to use each feature and help shorten the learning curve. The Portland-based company has even more plans beyond the forthcoming release of ON1 Photo RAW 2019.5. These include incorporating solutions into the software for photographers that use mobile devices in their workflow. 'The next year will be the biggest in our company history. A lot of these internal projects we’ve been working on will finally get introduced to the market. There is a lot to be excited about for our customers and our industry, and it all starts with Photo RAW 2019.5,' said Craig Keudell, ON1 President & CEO. Users can start a free 30-day trial of the current version of ON1 Photo RAW today. The software is available as a one-time purchase starting at $299 or as a subscription for $20 per month. It includes both macOS and Windows installers, plug-ins for Adobe Photoshop and Lightroom, and can be used on up to five computers. The Photo RAW 2019.5 update will be available mid-May. For a full rundown on all the new features that will be added, visit ON1’s blog. 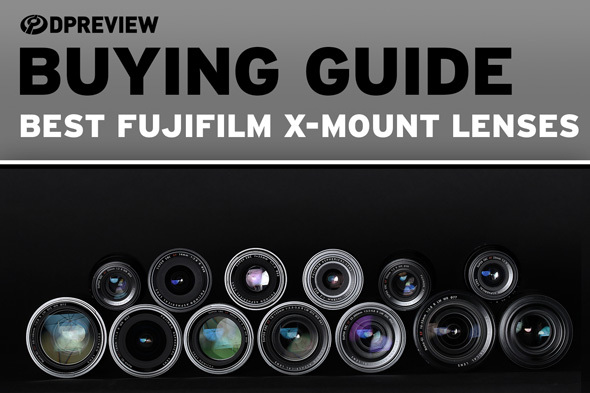 Whether you've bought an inexpensive Fujifilm X-A5 with a kit lens, or a higher-end body like the X-T3, at some point you're going to want some new glass. 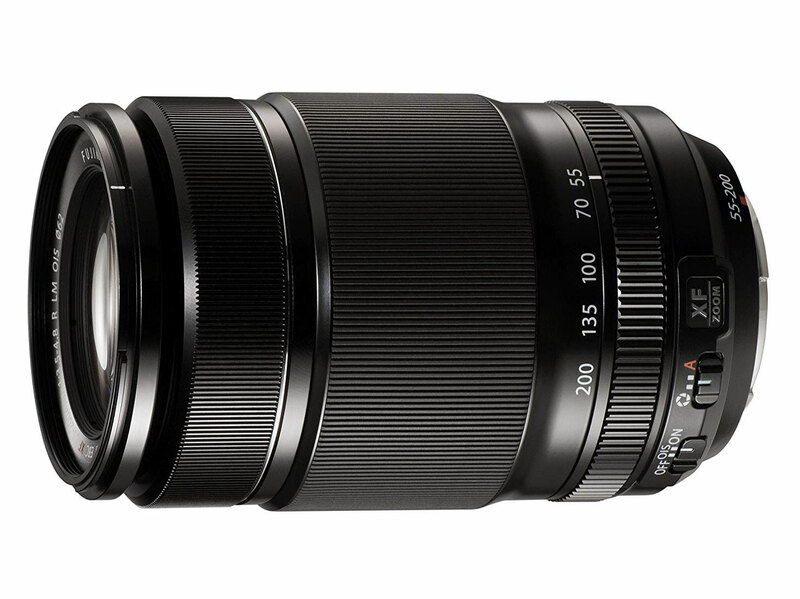 Whether you're shooting portraits or want a versatile travel zoom, we've got you covered. Before we go on, keep in mind that these lenses are for X-series cameras only. Fujifilm's GFX medium format bodies use a different mount, which we're not covering in this buying guide. For each of the categories below the winner was the lens which we found to offer the best combination of quality and value. In most cases, we've also provided a more budget-friendly option, as well as a choice for those with more to spend. Here at DPReview we use a lot of lenses, but we can't test every single product on the market. So if we've excluded your favorite lens, or if you disagree with any of our selections, please let us know in the comments below. 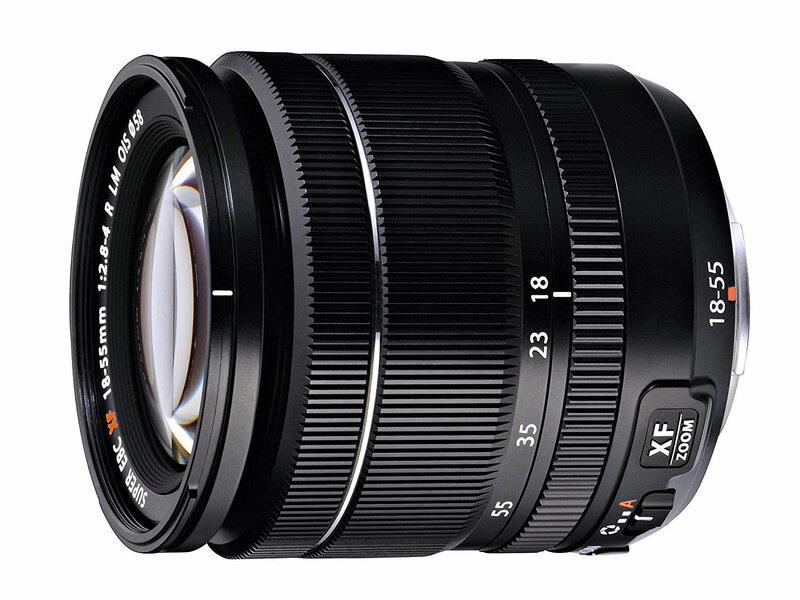 Standard (kit) zooms are just what they sound like - versatile, general-purpose lenses that start with a fairly wide angle of view and allow you to zoom in to a focal length traditionally used for portraits. 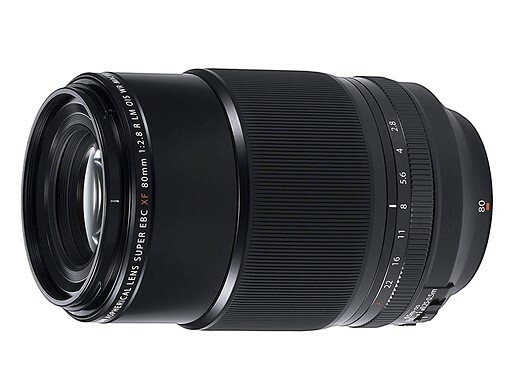 If your camera didn't already come with it, we'd suggest upgrading to the excellent 18-55mm F2.8-4.0 OIS. The 18-55mm is a significant step up from Fujifilm's XC 16-50mm and 15-45mm kit lenses, albeit not quite as wide as either. 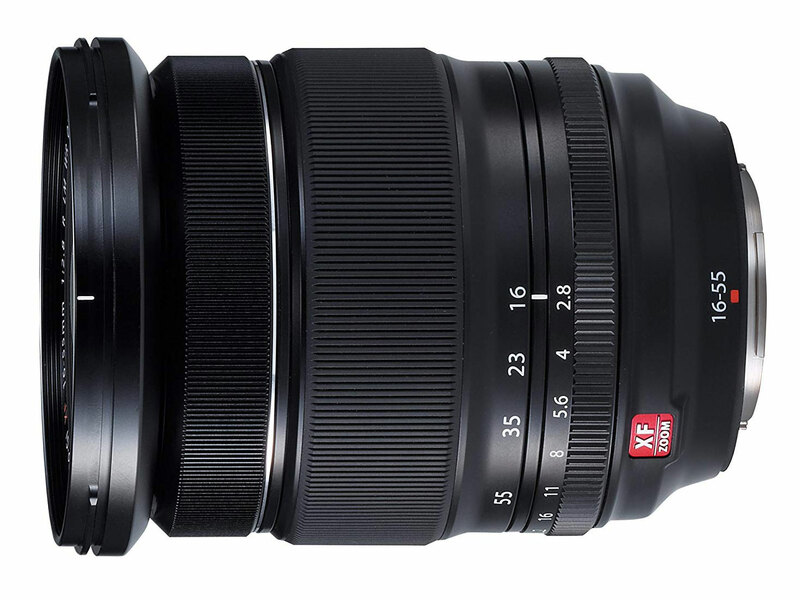 It's big, it's heavy, it's unstabilized, but more importantly, the 16-55mm F2.8 is optically excellent. It's one of the most powerful ways to get the most out of your camera. At time of publication, the 18-135mm is the best way of adding a lot more flexibility to your camera. Just bear in mind that it has a slightly slower aperture than the 18-55mm and doesn't go any wider, so think carefully about what you'd gain. Removing the complexity of a variable focal length often allows for prime lenses to be smaller, lighter and sharper, while letting more light through and being more useful in dimly lit situations. 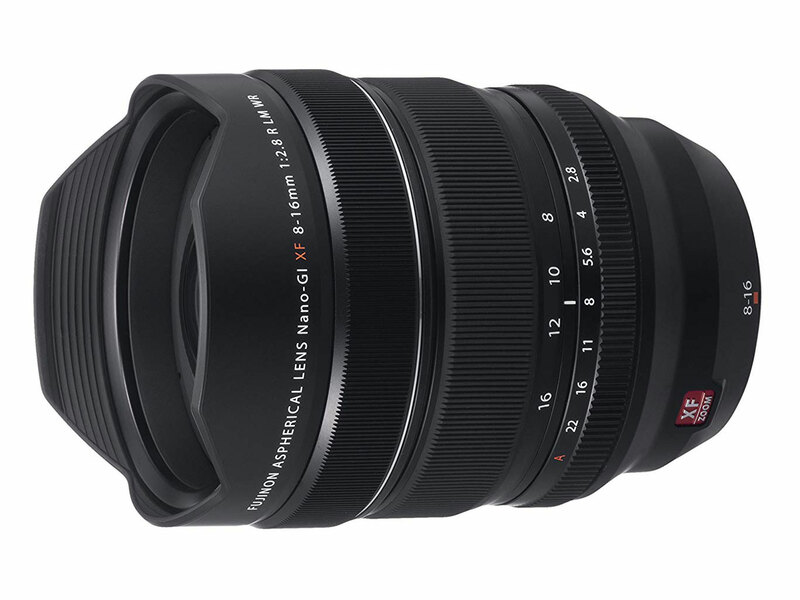 For all-around use we'd recommend a semi-wide-angle lens that can lend itself to a range of subjects. The 23mm F2 isn't the sharpest lens in the Fujinon lineup, but it's small, relatively fast and sensibly priced. It makes for a respectably small combination with most X-series cameras and provides decent low light performance and some control over depth-of-field. 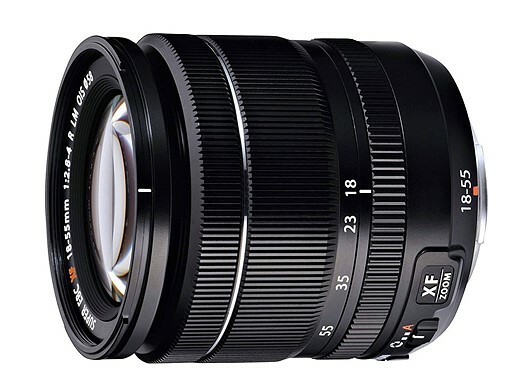 The equivalent focal length of 35mm makes this a perfect everyday lens for walk-around shooting. 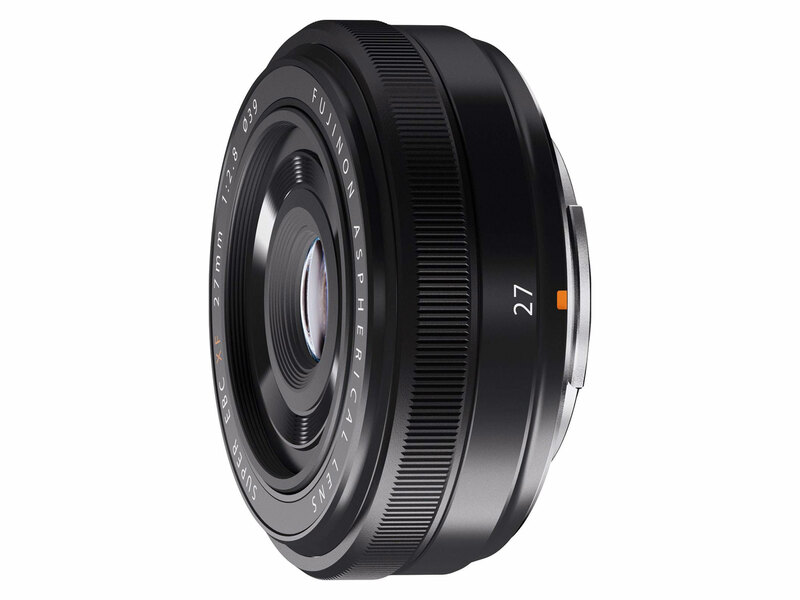 The 27mm lens offers a 40mm equiv. field-of-view, which can be great fun to shoot with. 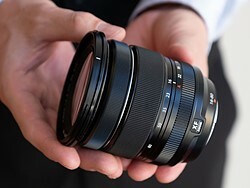 At F2.8 it's not going to give much of a benefit in terms of light capture or depth-of-field compared with a kit zoom. 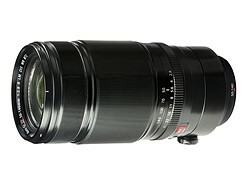 Its major appeal is size: it's convenient and discreet when paired with most X-series cameras. 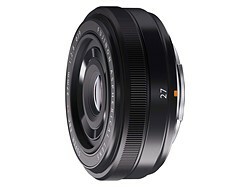 The Fujifilm 23mm F1.4 is optically excellent, making it a great do-everything prime. It's not especially fast to focus but if you want the quality and improved low light performance it brings, then that's the trade-off. For portraits we'd recommend a mid-telephoto lens that lets you shoot head-and-shoulders shots from a comfortable working distance. The 56mm F1.2 is designed to give the same angle-of-view and depth-of-field as a classic 85mm F1.8 lens does on full frame. It's one of the slower-focusing lenses in the system, but it's impressively sharp and well-matched for portrait shooting. There's a more expensive 'APD' version if you need smoother background blur. The 90mm F2 isn't cheap, but it's extremely sharp, is faster to focus than the 56mm and gives plenty of control over depth-of-field. It also gives a longer working distance, which some people will prefer. 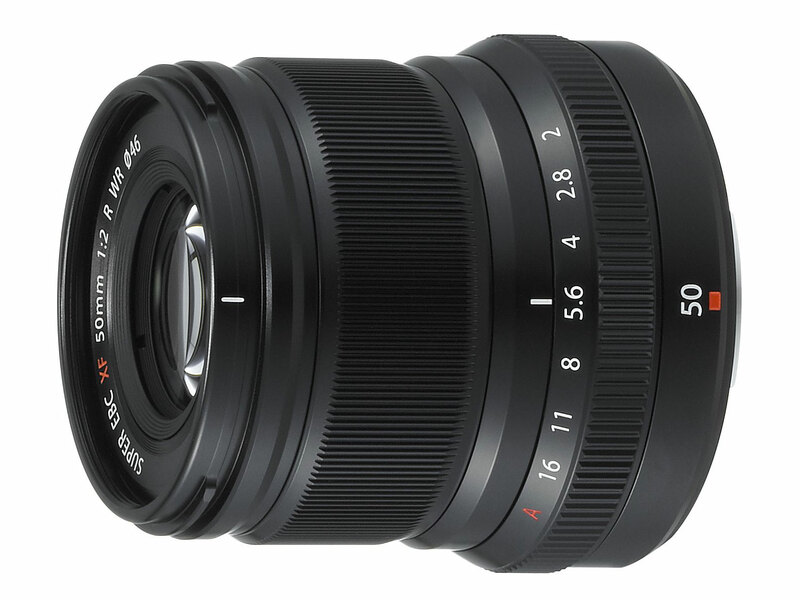 The 50mm's equivalent focal length of 75mm is a bit shorter than the 56mm's, but the magnification difference is minimal in normal use and it's much less expensive, faster to focus and still pleasantly sharp. It's also small enough to carry with you at all times. 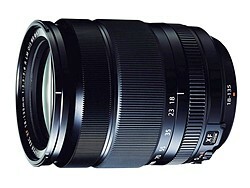 The 10-24mm F4 is a mid-range stabilized zoom that extends out to a usefully-wide 15mm equivalent. 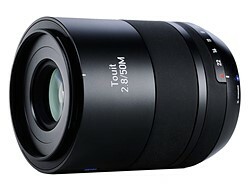 It's not cheap but the optical quality, solid build, constant aperture and inclusion of OIS help explain the price. 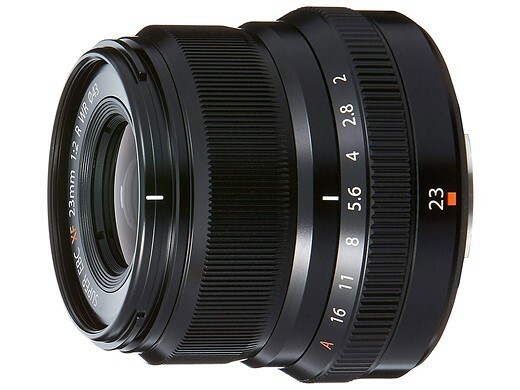 If you need to go wider or brighter than the 10-24mm, there's the 8-16mm F2.8. It's well-corrected and generally superb optically. Just be aware: it's big, heavy, and cannot accept screw-in filters. Telephoto lenses start out being fairly zoomed-in, and allow you to zoom in even further so you can fill your frame with more distant subjects. 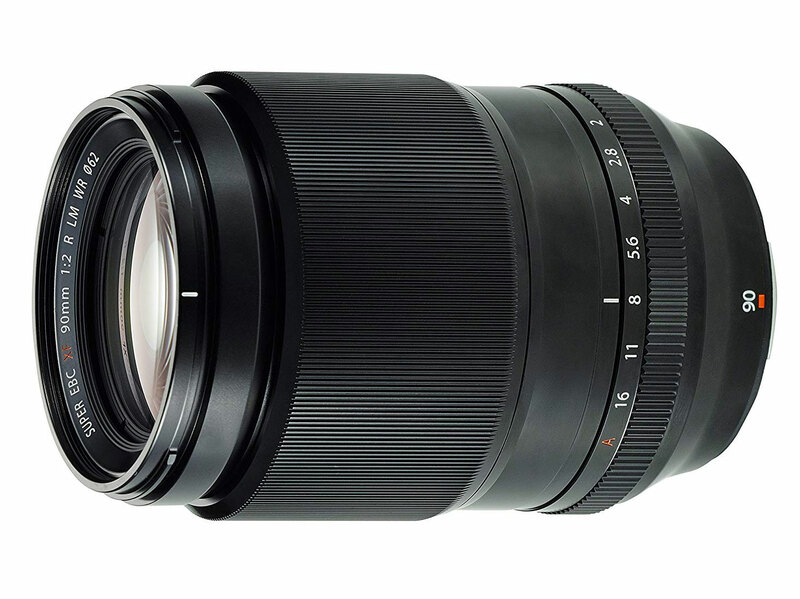 Although the range makes it sound like a budget 'two lens kit' filler, the Fujinon 55-200mm is a well built, fast-to-focus mid-price option. 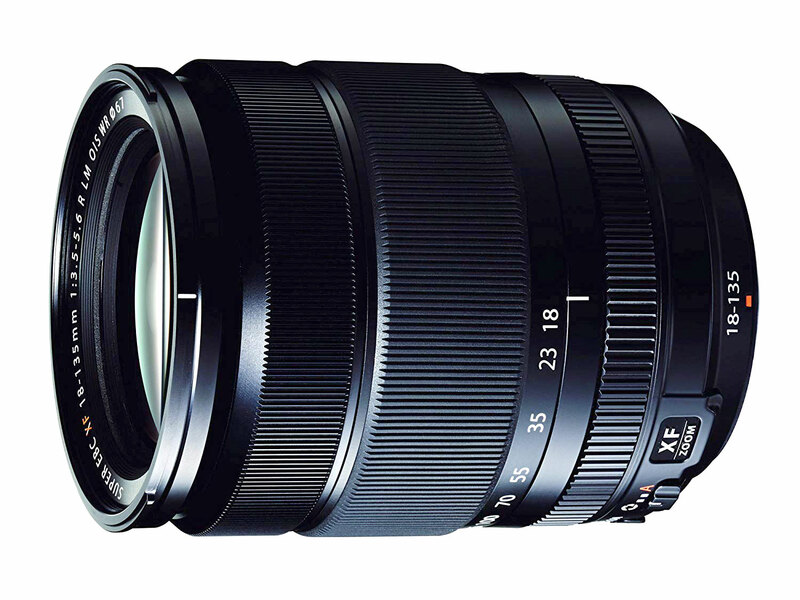 We used it as our autofocus test lens for many years and were impressed with its performance. 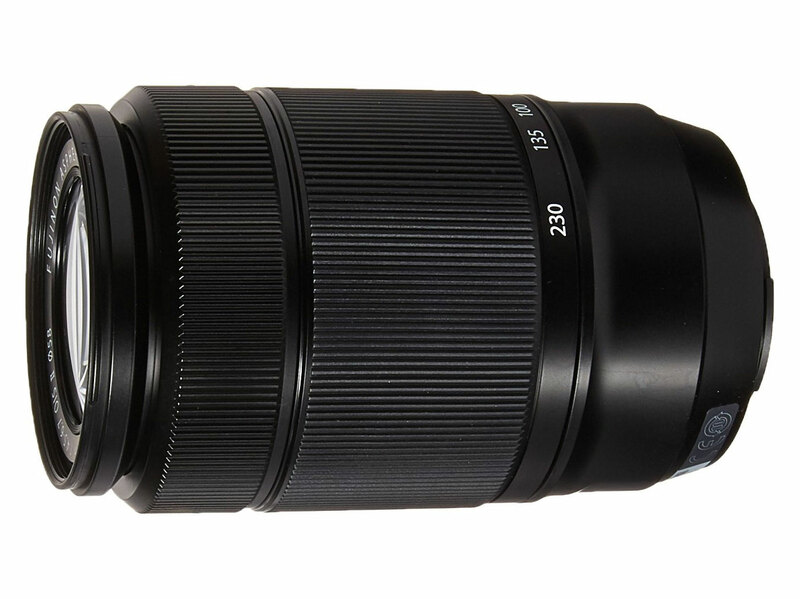 The 50-230mm is a low-cost stabilized tele-zoom. 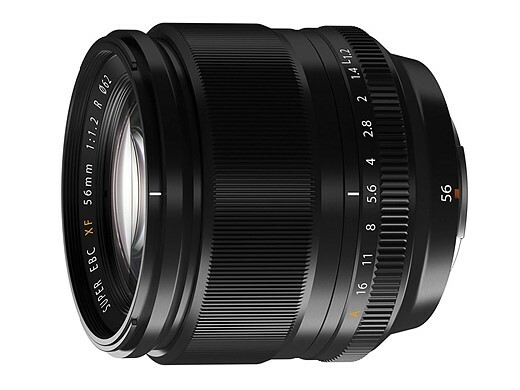 Be aware of that F6.7 maximum aperture at the long end of the zoom: it's not going to let in a lot of light, so your images are likely to be noisy in all but the best light. The 50-140mm F2.8 makes a lot more sense when you realize it covers roughly the same range as the classic 70-200mm sports lenses do on full-frame cameras. It's fast, well-built and offers image stabilization, and is much easier to wield than most lenses with this focal length. Macro lenses allow you to focus very close to small subjects, which is handy for photographing flowers or bugs. The 80mm F2.8 Macro is sharp, stabilized and gives a useful working distance, meaning you're not bearing-down on your subject. 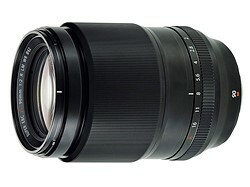 A flexible, attractive choice for close-up shooting. We've been impressed by what we've seen of the Zeiss Touit series but they're significantly more expensive than their Fujinon counterparts. We prefer the 50mm Macro to Fujifilm's rather slow-to-focus 60mm F2.4 if you need something wider than the 80mm. 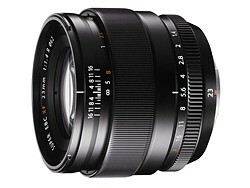 If you want a versatile lens that can handle most shooting situation, then consider a travel zoom. You still start out with a fairly wide field-of-view and can zoom in almost as much as many telephoto lenses. This is convenient, but these lenses tend to let less light through them, so aren't as useful in dimly lit situations, and they may not always give you the sharpest results. The 18-135mm offers a flexible range for whatever you encounter while traveling, which is fortunate, since it's essentially your only choice at present. 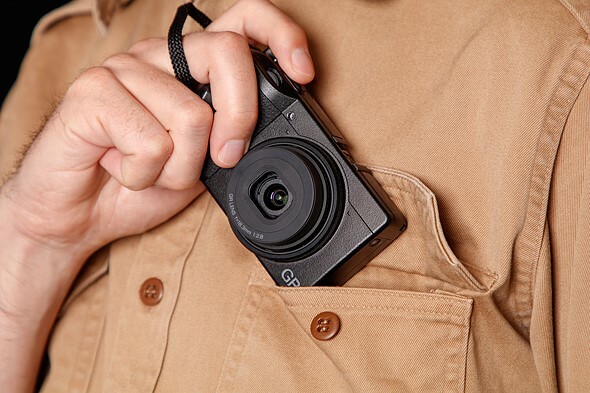 It would be nice if it went a little wider, but it covers a hugely useful range, offers image stabilization and a weather-resistant design, making it a solid choice for traveling. 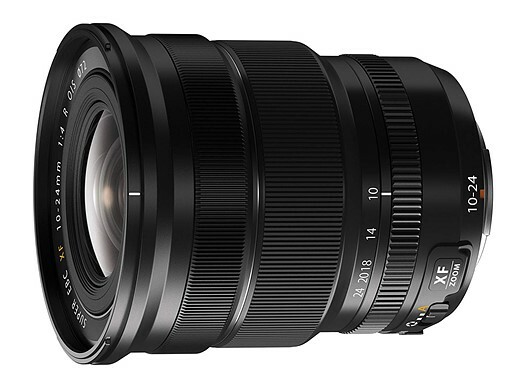 If you haven't got a specific trip already planned, it might be worth waiting for the forthcoming 16-80mm F4. 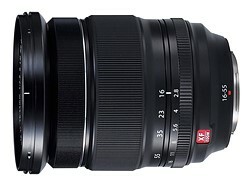 Constant F4 may not sound too exciting on an APS-C camera but the 24-120mm equivalent range may prove more useful than the 27-203mm equiv reach of the 18-135, especially if the quality is better. The post ThinkTank Vision 15 Camera Bag Review appeared first on Digital Photography School. It was authored by Peter West Carey. ThinkTank’s Vision 15 camera bag is one in a line of stylish camera and computer shoulder bags built for photographers who want a functional bag that looks good walking down the street. It’s designed for someone who wants easy access to their gear and isn’t looking for a backpack. I love my 28-300mm L lens (the same size as a 70-200mm f/2.8 or 100-400mm L lens) and this bag does a grand job of storing it while attached. ThinkTank, in their literature, mentions leaving the camera unattached, but I found the combination just barely fits, with easy, quick access. Inside the spacious main compartment is space enough for a few lenses and speedlights. There are both vertical and horizontal padded dividers to protect your shorter lens stacked one on the other. All the dividers have velcro on each side, so they can be attached to either long side of the bag or to other dividers. I usually travel with a long lens attached and a wide angle lens stored. This means I have room for: smaller Sony RX-100 V, waterproof cover (included with bag), battery pack for phone and tablet, glasses case, power brick for laptop and DJI Osmo Pocket. And there is still more room in there. If your bag is not just for your camera, but for all the other items you want with you on a shoot or day out of the office, this bag can carry most of it. The Vision 15 can manage a 15″ laptop and a 10″ tablet. The laptop sleeve is padded on the back and bottom while the tablet slot is found on the zippered front pocket. That front pocket has a host of other slots to hold pens, business cards, large phones, cables, and keys (with a tether and clip so that don’t get lost). And it still has ample pocket space for books, batteries, chargers and all the other little things that join you on the road. While the generous top flap of the bag keeps the elements at bay, a secondary zippered flap will help keep prying hands away. The flap has velcro to help hold it in place, meaning it will open when the main flap opens and close when it closes. Or zip up the inner flap for an added sense of security. It can also be tucked under the main flap to keep it out of the way for quicker access. This little design aesthetic impressed me when I wasn’t expecting it to. Velcro keeps the bottle holder closed when not in use, reducing the chance that it will get caught on something. Plus it looks more stylish this way. But when you need to hold your coffee or water bottle, just expand the pocket to one of two sizes for a (nearly) custom fit. While the bag’s fabric is stylish and does a good job of resisting stains and water, the bottom is made of beefed-up waterproof tarpaulin. This tough option makes for easy clean up when the bag is placed in anything but the most pristine locations. A quick wipe with a damp cloth keeps it clean and your contents dry. On the back of the bag is a large pocket for books or notebooks. This is a great spot to place quick-at-hand items, and I use it for my calendar and main notebook. On the front of the bag is a smaller pocket. While you could fit a book in there, it presses against the organizer pocket behind it. While is looks good in photos, it’s not useful for thick items. The bag comes with two main modes of transport: a padded shoulder strap and a carry handle on top. The padding on the shoulder strap is generous and the strap itself has a wide range of adjustment for a variety of torsos. However, the top carry handle only works when you remember to clip the top flap shut. Still, it is a secure way to get the bag in and out of your car for a quick grab. I’ve tested the bag under economy coach seats on 737s and smaller planes with ease. There is ample room and the bag doesn’t scratch along the underside of the seat. On a bag like this, the tripod attachment goes in the only location it can; on the bottom. ThinkTank uses their attachment straps (which can be removed when not in use, as shown above) to allow for a variety of tripod sizes. There’s really no other place for a tripod to go and the clips do an adequate job. For those who love their roller bags for airports, the back of the Vision 15 has a slot for your roller bag handle to pass through. While this bag has a lot going for it, I find the pockets get full fast. Even just throwing a Mindshift card wallet into the front pocket will expand it enough to press on the other pockets. Toss in a charger and Miops cable release as pictured above and you quickly start puffing the bag up, unlike a backpack-style bag. Don’t expect to comfortably carry a full-size tripod on the bottom of this bag. The length would make things unwieldy. Also, with the tripod attached, you suddenly don’t have an easy way to set down the bag. I tested the bag in use on my job for a month, which included travel on four different flights up an down the West Coast. Its smaller form factor (compared to my normal backpack) is welcome as it packs into my car trunk easily and was effortless to remove, thanks to its clean lines and lack of straps like a backpack. Opening and accessing contents is straightforward and I left the velcro attachment connected on the inside lid most of the time. Yet, when I had to set the bag down a couple of times in less than ideal situations, that inner zipper was nice to employ. I never did use the rain cover but I am glad they shipped the bag with a black cover to keep it stylish. The ThinkTank Vision 15 is a very useful shoulder bag. While it can’t quite hold all I like to carry (no space for a drone), it holds all you need on a day-to-day basis when away from the office all day. It easily holds a long lens as well as battery packs, chargers, cards, tablet and laptop. It can easily handle four lenses and a flash, while the padded shoulder strap makes carrying that load bearable. While the Vision 15 is sized for a 15″ laptop, they have two other, smaller sizes (which cut out the space for a tablet) that might fit your particular setup better. Nikon has announced the COOLPIX W150, a colorful and rugged point-and-shoot digital camera that's shockproof from drops up to 1.8m (5.9ft), waterproof down to 10m (33ft), dustproof and coldproof down to -10C (14F). The new model features a 13-megapixel sensor and a 3x optical zoom NIKKOR lens, Target Finding AF, multiple scene modes and support for recording Full HD videos with stereo audio. Nikon has positioned the W150 as a digital camera suitable for both adults and children; the camera maker utilized a modified user interface that is simple enough for first-time users to navigate. The camera supports SnapBridge for automatically transferring images from the camera to an Android or iOS device. The W150 includes a few unique scene modes, including 'underwater face framing,' 'add clarity underwater,' 'picture-in-picture' and 'add little planet effect.' Other features include image lock, Smile Timer, Exchange Messages for adding voice messages to photos and a grading function for rating images and videos. 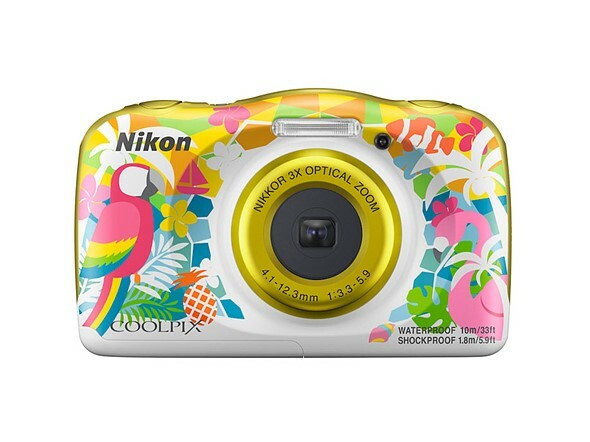 The Nikon W150 will be available in white, orange, blue, flower and resort color and pattern options. Nikon hasn't made any mention of pricing or availability yet. 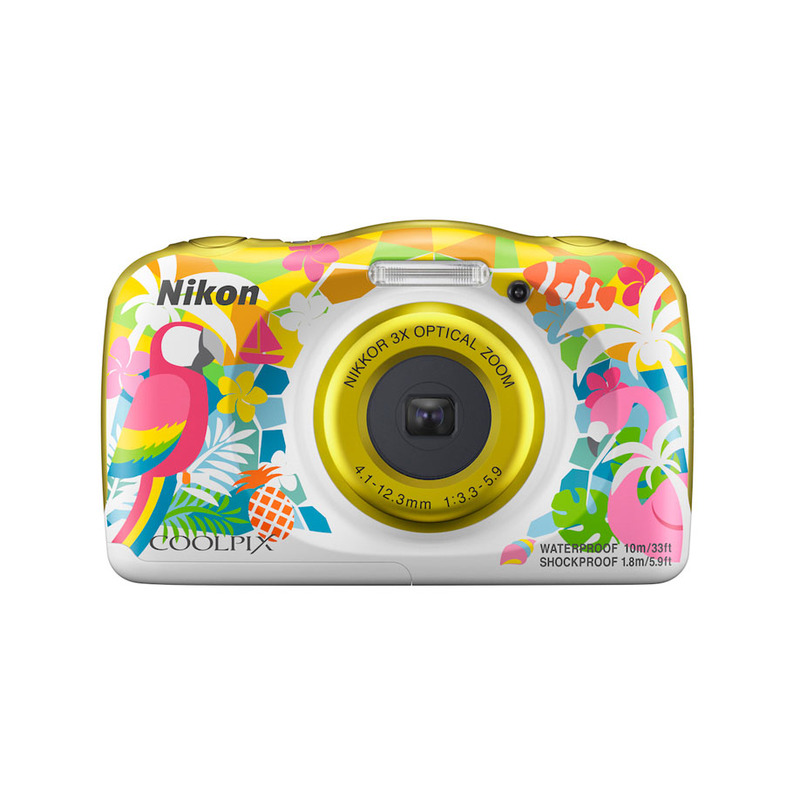 TOKYO - April 23, 2019 - Nikon Corporation (Nikon) is pleased to announce the release of the COOLPIX W150, a compact digital camera that offers superior water- and shock-proofing. The COOLPIX W150 is a highly water-, shock-, cold- and dust-proof camera that supports shooting in a wide variety of situations, including capturing leisure activities at the pool or beach. A compact, rounded design makes it easy to handle for both children and adults alike. The addition of new and appealing color options and patterns to the camera body will make shooting leisure activities even more enjoyable. The camera offers an effective pixel count of 13.2 million*1 pixels, and is equipped with a 3x optical zoom NIKKOR lens. It is also equipped with functions that make recording photos and movies with superior image and picture quality fun and easy for anyone. These include the Target Finding AF*2function, where the camera detects and focuses on the primary subject, and a function for recording Full HD movies*3 with stereo sound. It also offers a variety of scene modes*4 and editing functions that allow users to capture memories and experiences in impressive photos. The variety of scene modes and effects allow users to explore unique possibilities and share these photos and movies with their loved ones. Its compatibility with SnapBridge allows photos taken with the camera to be automatically downloaded*5 to a smart device*6 for easy sharing of high-quality photos. The Ricoh GR III is far from perfect, but it's won over the heart of at least one DPReview writer. Many of the imperfections it has can't be fixed with a firmware update, but Ricoh is still attempting to address at least a few problems with the camera in the form of a new firmware update — version 1.10. 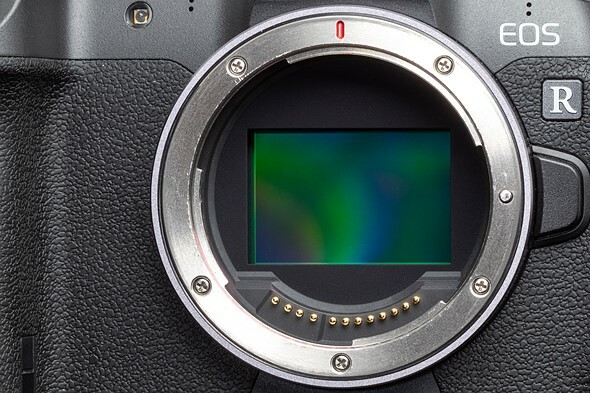 The updated firmware improves the autofocus performance of the camera in dark scenes and low-contrast environments, a complaint note by Barney in the aforementioned article. It also adds a Wi-Fi option for Image Sync (version 2.0.4 or later) and fixes a number of under-the-hood issues to improve the overall stability of the camera. Firmware version 1.10 for the Ricoh GR III will be available to downloaded for macOS and Windows on Ricoh's website by the end of the day, according to a Ricoh spokesperson. If you can't wait, you can download it from Ricoh Japan's English-translated website. 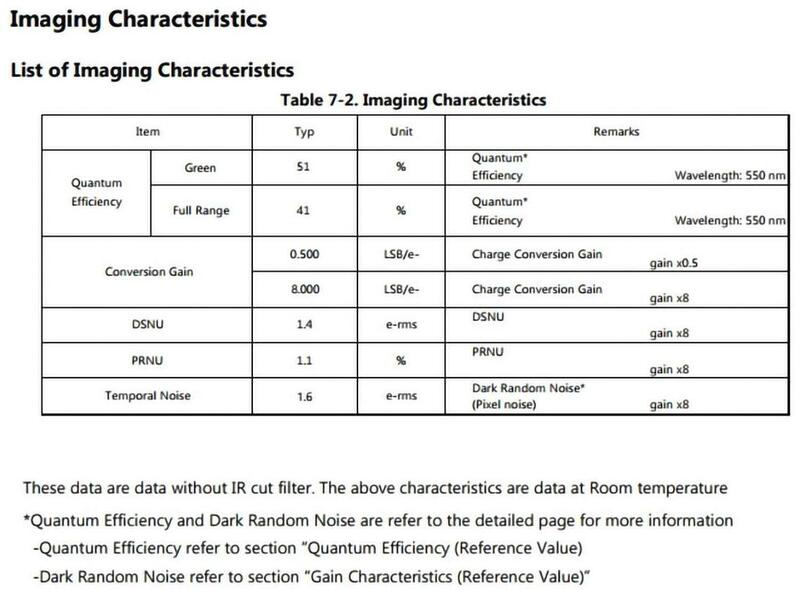 There's been rumors of a high-resolution EOS R camera since the EOS R was first released last year, but a leaked data sheet detailing a new 63-megapixel full frame CMOS sensor is the best hint yet that a mirrorless 5DS equivalent might be right around the corner. 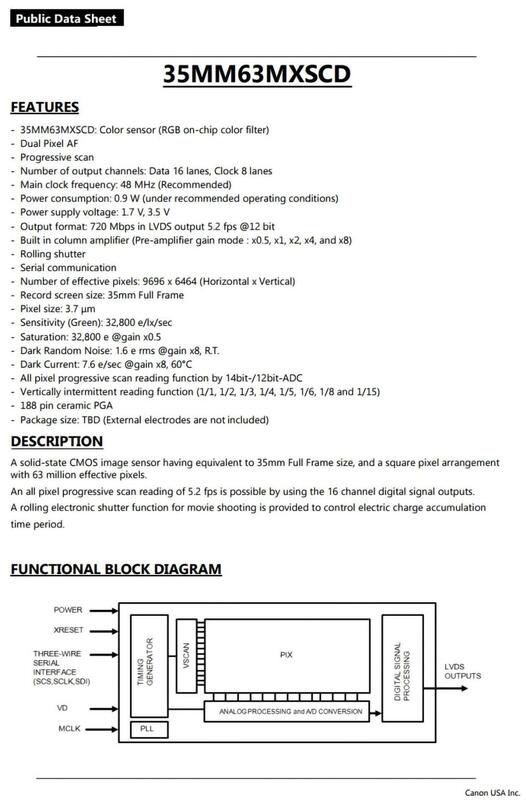 According to the leaked data sheet, the sensor — referred to as 35MM63MXSCD — features Canon's Dual Pixel AF and 63 million effective 3.7nm pixels (9696 x 6464). Using the 16 channel digital signal outputs, the data sheet says the sensor should be capable of up to 5.2 fps at 12-bit. Canon has been teasing in interviews that it's excited to make cameras capable of showing off the quality and performance of its latest lenses, including its impending 'holy trinity' (16-35mm, 24-70mm and 70-200mm). Combined with the ongoing rumors churning around the mill that the next EOS R would be a high-resolution model due out sometime this year, it seems pretty clear this will be at the heart of the camera whenever it is released. The post A Short Introduction to Basic Photo Editing for Beginners appeared first on Digital Photography School. It was authored by Lily Sawyer. If you’re a beginner, using editing software can be a daunting prospect. What if you can’t get a handle on the technology? What if it’s too complicated a process? What if it’s just too time-consuming? What if the images turn out horrible? So many what ifs! I get it; I’ve been there. In this article, I’m offering a very simple way of delving into editing if you’re a novice. These are basic principles that I hope will set you in good stead for more fancy editing in the future! You need to be able to see what is a good image and a bad image. The key is in your perception. If you think heavily edited images are the perfect image, then your editing will lean that way and vice versa. If you think an overly-tinted image is perfect, then that would be your bar for perfection. We all have a bias towards something. However, for editing, I think we need to try and be as neutral as possible and leave our personal preferences for the moment. Once we have a basic grip of the above, then editing will be a breeze, and we can get more creative from a solid image base or what I’d like to call a clean edit. But first, a word on shooting format. Shoot in RAW. The images below are the original RAW images opened in Bridge without any edits applied. You can see there is a choice of Adobe color profiles. See the difference between the standard profile below left and the color profile used on the image on the right. You can choose which profile you prefer. To successfully understand the above, and make the edits towards them, it is important that you shoot in RAW format. If you shoot in JPEG, you are allowing the camera to process the image, discard pixels the camera deems unnecessary, and accept the color adjustments the camera has made. With a JPEG image, you have less control, are working on a great loss and compression of pixels at the very start and an already compromised image color. You can read more about RAW processing in Bridge here. Having said that, someone who is a really good, seasoned, experienced photographer may well shoot JPEGS and achieve the desired image they want. I am not there yet! Secondly, the type of camera you use affects the original images you get. A full-frame camera gives you the 35mm sensor – wider, more space, more light hitting the camera sensor and more pixels. What you see through the lens is pretty much what you get. A crop-sensor, on the other hand, works in the opposite way. The lens only allows you to use a portion of the sensor so that a 35mm lens mounted on a crop-sensor camera will only give you the point of view of a 52mm lens equivalent – a more zoomed-in longer focal length. You are losing some width, some light and some pixels. Correct exposure means getting the balance right between the 3 components of the exposure triangle. 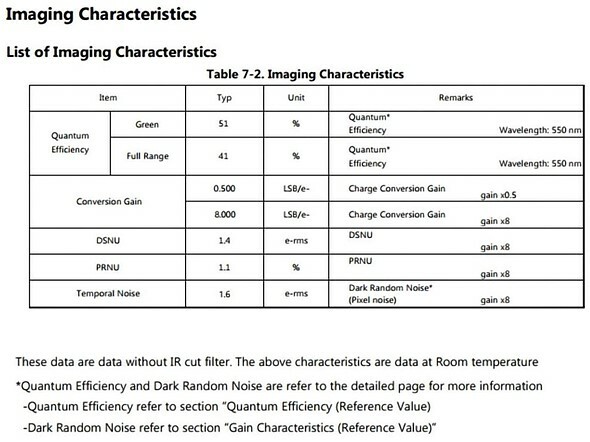 Namely: aperture, shutter speed, and ISO. Balancing all three correctly will give you a perfectly exposed image. That means no blown highlights or details are lost entirely in the shadow or darker areas of the image that should still be visible. A most useful tool in determining whether your exposure is perfect is to look at the histogram when you are editing. 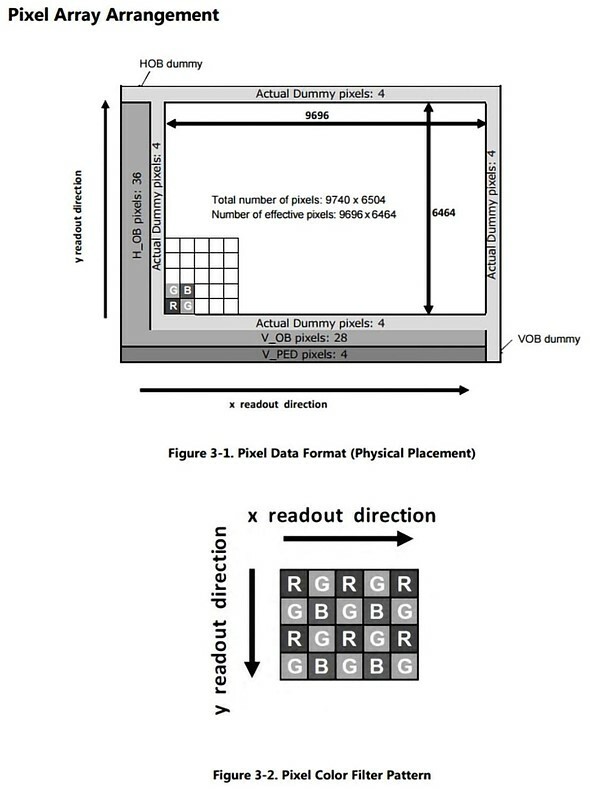 Alternatively, you can view the histogram when you have just taken the photo as there is also a histogram on the LCD of many cameras these days. Simply put, a histogram is a representation of the tonal value distribution across your image in the form of a visual graph. 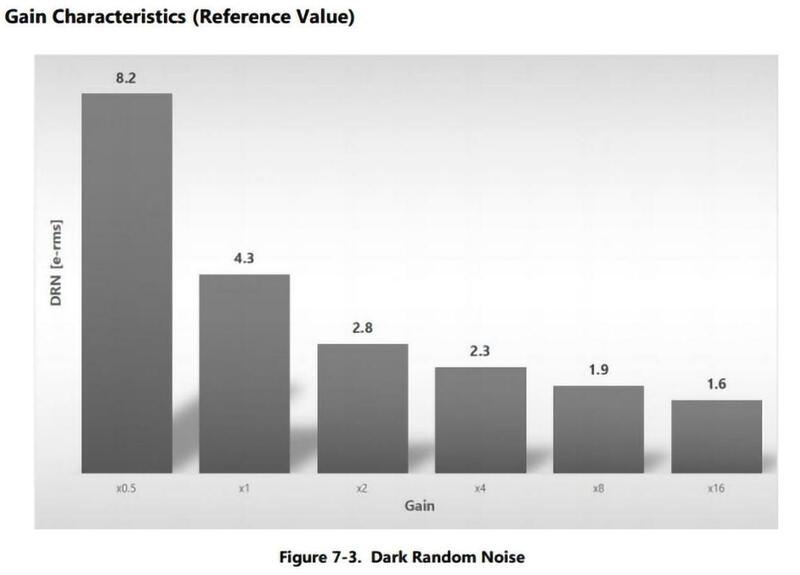 Just by looking at a histogram (that graph on the top right corner of the image below), you can immediately tell whether there is an even spread of tonal values on the image judging from the troughs and crests on the graph or a stark contrast. If the image you shot has incorrect exposure, then editing is your solution. You can move the sliders on your editing software to increase exposure if the photo is too dark or decrease your exposure if the photo’s too bright. You can usually recover some blown highlights in the case of overexposure. Take a look at the image above. This is the RAW image opened in Bridge. You can see it’s a little bright with the histogram showing a tall mountain almost touching the right edge. When the histogram touches both left and right edges, this would indicate the dark and light parts of your images are clipped and therefore there is overexposure and underexposure in the image. This is an okay image as nothing touches the edges, but it is too bright for me. The image on the left below shows an overexposed image with the exposure turned up and the image on the right shows an underexposed image with the exposure turned down. See what the histogram is doing in these images. Simply put, white balance is the adjustment on your camera that reads the color temperature of the light you are shooting in in relation to neutral white. A perfect white balance should show white to be white as perceived in reality and there are no color casts that distorts the whiteness of white. You can, however, go for a warm white or a cool white by adjusting the white balance sliders. Generally speaking, what you don’t want is for white to look too yellow or orange or too cold like with a strong blue cast. Compare both photos below: too cool on the left and too warm on the right. There is nothing rocket science about contrast in my opinion. It is simply to do with the strength of the blacks on the photo. After the adjustments above, our photo is still looking very flat. All that’s needed is a fiddle on the blacks, shadows, highlights and light areas. Just remember not to clip your blacks or whites or if you want a bit more contrast, not too much clipping. You can also use the curves tab (the one that shows a grid with a curvy line) for contrast adjustments. I also played with the other sliders to get the result I wanted on the images above. Just do so gently – a touch here and there rather than extreme adjustments. Remember, you are only after a clean edit at this stage. The images above show the same edits on the standard and color profiles. The results are different so deciding on your color profile matters. If you click on to the third tab which shows two black triangles, you get to the panel where you can adjust noise and sharpening. Again, gentle adjustments are needed here. It is vital to view your photo at 100% so you can see what the adjustments are doing to the image. Luminance has to do with the smoothness of the pixels. You don’t want to go too much, or you lose definition. Color has to do with how much the RGB pixels show up and extreme adjustments will either strip your image of color or make the pixels appear too saturated. Now I have a clean edit, there is still so much I can do to this photo. The eyes are a tad soft so I will need to adjust that. I could add vignettes or change the appearance of the background. I could add sunflares or textures. The possibilities are endless. But most of that has to happen in Photoshop. I hope this has helped you understand the basics of editing. Please share your comments below or if you have any questions!